Fans looking to catch the Kansas City Chief live are in luck because Kutt Calhoun is setting out on his own and has officially announced plans for the “Calling My Name” Tour. 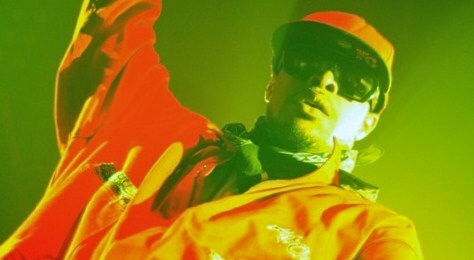 With Tech N9ne headed out on the “Hostile Takeover 2012” Tour, Kutt Calhoun will be blazing his own trail across the country as he smashes stages with hits from B.L.E.V.E., Feature Presentation, and Raw And Un-Kutt. With fans everywhere looking to get behind Kutt Calhoun, the Strange Music emcee recently hit Twitter to break news of a planned solo tour this spring. Tentatively scheduled for mid-April, the “Calling My Name” Tour will give fans a chance to see Kutt Calhoun do what he does best! Kutt also announced plans for a second tour later in the summer, which he promised to keep fans updated on. Will you be in attendance when Kutty Cal rolls through your town? Stay tuned for more on Kutt Calhoun’s “Calling My Name” Tour! Check out what you can expect from Kutt Calhoun. Have you ever seen Kutt Calhoun live? Are you excited for the “Calling My Name” Tour?